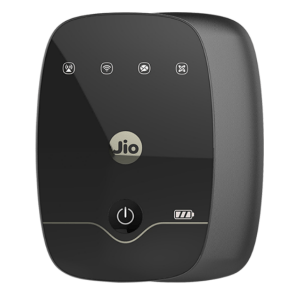 Ajio Offering JioFi 4G Portable Wi-Fi Device + Rs.600 PVR voucher + Rs.80 Cashback at Rs. 1999 Only. Stay ahead and stay connected with this sleek and lightweight Wi-Fi device that serves as a window to digital life. This portable hotspot can connect up to 10 wi-fi enabled devices for an on-the-go experience. How to JioFi 4G Portable Wi-Fi Device ? Apply promo code APVR600 to get Rs.600 PVR voucher . Pay with Udio card or mVisa to get 4% cashback. JioFi is powered by LYF. Stylish. A powerhouse performer. Pocket-friendly. And, fits your pocket! This 4G portable WiFi router for mobiles and devices makes your digital life easier, while making a statement. Running out of data when you are browsing through the season’s best picks is the stuff nightmares are made of. But with the nifty JioFi router, you get access to a network that provides a whopping amount of data, anytime and anywhere! To top it all, the sleek design makes the JioFi a smart add-on to your cache of gadgets. So whether you’re searching for your next look on the go, or in the comfort of your home, the JioFi is your trusted style companion that has got your back. And your data. Offer: High Speed Data Voice calls and unlimited 4G data free till 31st Dec 2016! Step 1: Carry original invoice of AJIO, along with the JioFi device and the box. Step 2: Carry originals and copy of Proof of Address (POA), Proof of Identity (POI), and a passport size colour photograph. For availing Jio SIM through eKYC, carry your local Aadhar card. Step 3: Locate the nearest Reliance Digital/DX Mini Store using store locator, click here. Step 4: Visit the store with all the documents mentioned above and get your Jio SIM card with Jio Welcome Offer. Step 5: SIM will get activated as per the activation process, the details of which would be given to you at the store. Step 6: For Video and HD Voice Calls, download Jio4GVoice App on your smartphone/SIM based tablet from PlayStore.